RC has gone for a VAPE with SMOKE, so while his BACK is turned, it's CAPS LOCK INTERN here bringing you the GOOD NEWS from my NEW JOB at NISEI PLAZA! I know that our favorite HOBBY may appear DEAD to the NAKED EYE, but I am here to ASSURE you all that it is very much ALIVE! 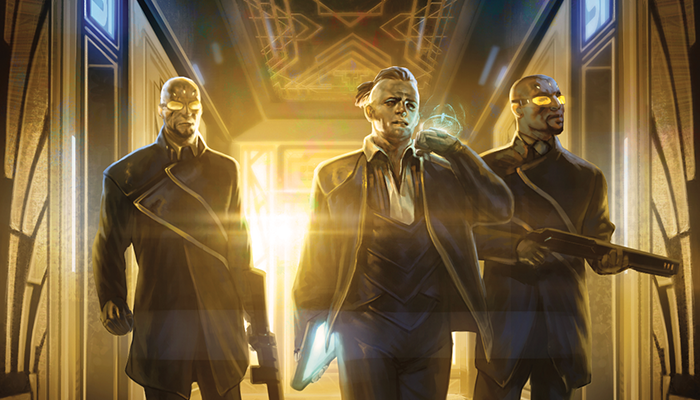 This is not the END OF NETRUNNER but instead a REBIRTH (although that’s possibly getting BANNED). Now that the BLOCKADE on NISEI PLAZA has been LIFTED, let’s discuss what’s coming up soon and the EXCITING ways you and your PLAY GROUP can ENGAGE with the game. Better yet, ANYONE will be able to order a GNK directly from NISEI for ANY event - anytime, anywhere! No need to go through a STORE, although your FLGS may order a PRIZE KIT as well. THANKS is DUE to KEVIN TAME, MEGAN CANNON, DOMINIQUE VAN VELSEN, and our entire GRAPHICS TEAM who all did a STELLAR job! On our WEBSITE (coming soon) the aspiring TOURNAMENT ORGANIZER will find KEY RESOURCES like GAME NIGHT IDEAS, printable POSTERS, NAME TAGS, and blank PROXIES, as well as RULES/OP DOCS and the CODE OF CONDUCT. LET US KNOW what else you want to see in FUTURE kits, whether that's PRIZES or EXTRA GOODIES. ETERNAL contains all NISEI and FFG cards ever printed. A unique MOST WANTED LIST will help bring some JUSTICE to the WILD WEST that is this FORMAT, but don’t worry - you can still ENJOY numerous ways to BLAST your opponent after some MIDSEASON REPLACEMENTS. 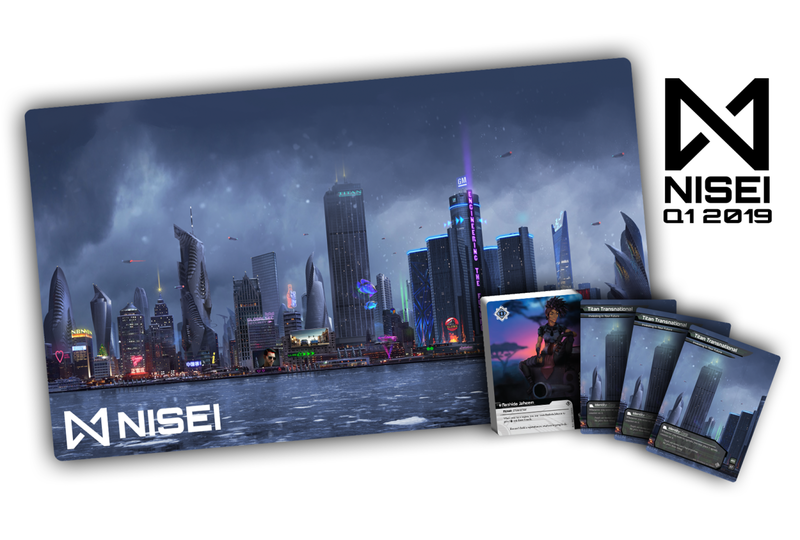 Speaking of the CORE SET, the details of SYSTEM CORE 2019 will be formally ANNOUNCED on 16 NOVEMBER 2018, alongside the MOST WANTED LIST and ROTATION. SYSTEM CORE 2019 paves the way for a NEW SEASON of ORGANIZED PLAY and will SHAKE UP the meta. You’ll see the RETURN of some OLD FAVORITES - run with IMPUNITY with DEUS X and BUILD your RIG with AKAMATSU MEM CHIP. Set up QUICKLY with BLUE LEVEL CLEARANCE and teach your opponent a LESSON using your FETAL AI.